A nebulizer is a medical electronic instrument which helps people inhale the medication (in liquid form) so that it reaches to the lungs directly. Generally a patient who is unable to breathe freely, due to asthma or other lung ailments, is given medication through nebulizer treatment to help them recover from the deadly symptoms. The use of nebulizer and nebulization therapy is increasing fast, with the increase in number of people suffering from respiratory issues. And for this reason, more and more people prefer buying nebulization machine for their home use so that they can easily make use of it at times of emergency asthma attacks. 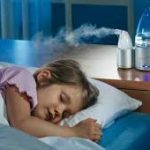 However when it comes to choosing the right nebulizer, it becomes very tough as there are various types and models available in market to buy. Knowing about the different types of nebulizer machines and nebulization therapy can help a lot in choosing the best device. 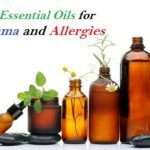 Although all the different types of nebulizers functions in a similar way, there is huge range present in the market, each of them having some unique features. Stationary nebulizer or table top nebulizer are sturdy and can rest easily on top of the table while operating. Stationery nebulizers are mostly preferred for indoor use (at home or at medical centers) and are seldom used outdoors. These are most durable and come with a longer warranty period. They are cheaper than the mobile nebulizers and serve as a good aid for children or elderly patients suffering from asthma symptoms. Mobile nebulizer (also called portable nebuliser or handheld nebuliser) provides most mobility as these can be hand-held and carried easily with patients wherever they go. These work on alternative power sources like batteries or auto adapters, which enable them to use at areas where there is no or limited access to AC power. Since these are portable in nature, these nebulizers are lighter than the stationery ones and are also smaller in size. With changing technology, types of nebulizer medications and treatment methods – nebulizer machines have changed drastically in recent years. Ultrasonic nebulizers uses high frequency ultrasonic waves and vibrations in order to aerosolize the liquid medication into a fine mist. The fine mist of medicated air can then be inhaled through an attached mask or mouthpiece to feel relaxed. As ultrasonic nebulizers does not use compressor, it functions quietly. Being portable, compact and battery operated, they work fast when compared to other nebulizers. Ultrasonic nebulizers are considered as the best nebulizer machine for home use (for children as well as adults). A jet nebulizer changes the prescribed liquid medicine into a fine mist with the help of the piston-powered compressor. These are less expensive and are usually in the form of a plastic cup which holds the medication and allows the air pass through the tube. As jet nebulizers may require electricity very frequently to function, these are not advised to carry during travel. Due to the compressor these may sometimes make lot of noise. Mesh Nebulizer generates the mono-disperse aerosol mist/particles of of medicine by utilizing a vibrating membrane. Considered as the fastest working device, these are more expensive when compared to other nebulizer types. Available in a compact and portable body (operated on a battery power supply), it is perfect to carry while traveling. Mesh nebulizer requires proper care, careful handling and intense cleaning as the membrane is more prone to get blocked. Based on the usage, replacement of the membrane may be required few times in a year for proper functioning. Patient suffering from respiratory problems like asthma, COPD, cystic fibrosis or other chronic bronchial lung conditions, are often prescribed to get a nebulizer therapy or medication by their doctor. Every patient has different needs and they must be cautious enough to not use their medicines on their kids. Dosage and the type of medicine may also differ according to the age of the patient. So it is best to consult a pediatrician or a doctor before administering a nebulizer medication of any type. Now that we know, what are the basic types of nebulizers – we can now understand better about which one to use at home for kids and adults. Nebulizers are generally recommended for use where the patient is either a child, infant or an elderly person who has less mobility. For these types of patients table top ultrasonic nebulizers or jet nebulizers are best recommended for home use. However if the patient is constantly on the go, they need to buy a mobile nebulizer or a hand-held nebuliser. They would also need to carry necessary accessories like power supplies with them. If you are very much concerned about the hygienic conditions, then you can even have some disposable nebulizer kits with a portable compressor available to use. These disposable nebulizer set come with disposable cups and mask which are meant for single usage. While traveling you can use and throw them right away to avoid any risk and to ensure maximum safety. Overall, it is required to know the patient’s need, occupation, age as well as their level of mobility – other than just their requirement – so that they can opt for a suitable nebulizer machine.